Monster Truck’s #DownAndDirtyClubTour with The Picturebooks are coming to Kamloops with their hits Don’t Tell Me How to Live, For the People, Why Aren’t You Rockin and many more. These funky rockers will bring arena rock to Cactus Jacks Nightclub. The Kamloops Blazers play a home game against the Victoria Royals. Come cheer on our local hockey team at the Sandman Centre at 7 p.m.
ARTBOUND at the Kamloops Art Gallery – Drop into the studio at 3:30 p.m. for weekly thematic workshops. All materials are provided. Ages 14 to 21. Join the Kamloops Art Gallery at Red Collar Brewing Co. for Drink and Draw! 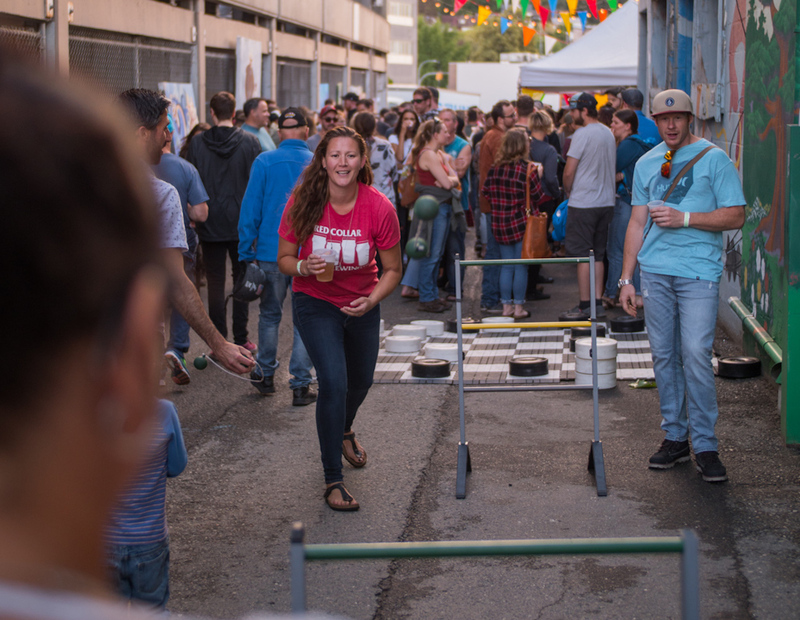 Contribute to large-scale collaborative drawings, play games and enjoy some of Kamloops best local beer. See you there at 6 p.m.
Open Mic Night at the Art We Are Café, an event that speaks for itself. This event is by donation at the door and starts at 7 p.m.
Join Kamloops Pride on the second Thursday of every month for an evening of socializing at Beers for Queers. Have a pint of beer or a quick bite to eat. This week’s location is at the Central Station Pub at 6 p.m. Wander around our downtown before catching a movie at the Paramount Theatre this Thursday. This week’s Valentine’s Day Movie Night is The Border at TFS. The showing starts at 7 p.m. and you can get your early bird tickets online. Story Time + Baby & Me Art Exploration at the Kamloops Art Gallery at 10:30 a.m. Join the KAG for songs, stories and puppets followed by baby-friendly art making at 11. Midtown Jam at the Central Station Pub – A weekly creative playground put together to spread culture, blend musicians, bands, improvisers and audience. Bring out and instrument, tune it up and plug in. The Kamloops Storm Jr. Hockey team play at Memorial Arena Feb. 15, 16 and 17. Come cheer on your favorite junior hockey team as they face off the Osyoos Coyotes (Feb. 15), the Sicamous Eagles (Feb. 16) and the Kelowna Chiefs (Feb. 17). Three back to back games will keep you busy all weekend. It’s the last week to stop by the Old Courthouse to BEYOND THE FOREST FLOOR & ALMOST BLACK AND WHITE by Kelly Tilly Perry. Printmaking and Acrylics in the Kamloops Arts Council Hall and Main Galleries until Feb. 16. Gallery Hours are Tuesday to Friday from 10 a.m. to 5 p.m. and Saturdays from 10 a.m. to 4 p.m.
To see more #downtownkamloops events, make sure to check out our event page at www.downtownkamloops.com. We hope to see you in #downtownkamloops this week. 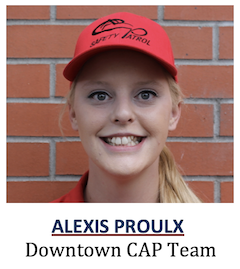 Alexis Proulx is Customer Care and Patrol (CAP) Team Supervisor & Back Alley Art Gallery Coordinator. Reach her at 250-572-3008/3009. Email capteam@downtownkamloops.com. Follow on Facebook, Instagram (Downtownkamloops) and Twitter (@downtownkamloops).